rainfall is expected from this activity. Morning. That's basically it Largo. If you are interested in the scientific methodology, here's an excerpt from the National Weather Service. 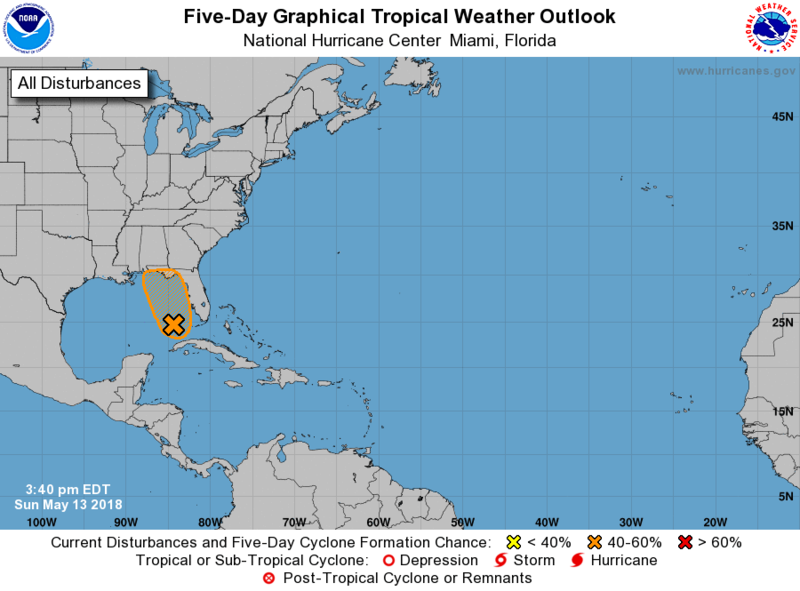 Forecasts issued by the National Weather Service routinely include a "PoP" (probability of precipitation) statement, which is often expressed as the "chance of rain" or "chance of precipitation". WINDS 5 TO 15 MPH. CHANCE OF RAIN 40 PERCENT. A Happy Mother's Day to the moms amongst the group! well one TV met says alot of area's around the state could pick up 4-6 inches of rain spread out over the next 6-7 days..and she says..a few area's may..pick up 8-10 inches....good luck folks who need it badly. how is it down in Your area Billsfan? Good morning everyone and Happy Mother's Day to all of the moms out there! 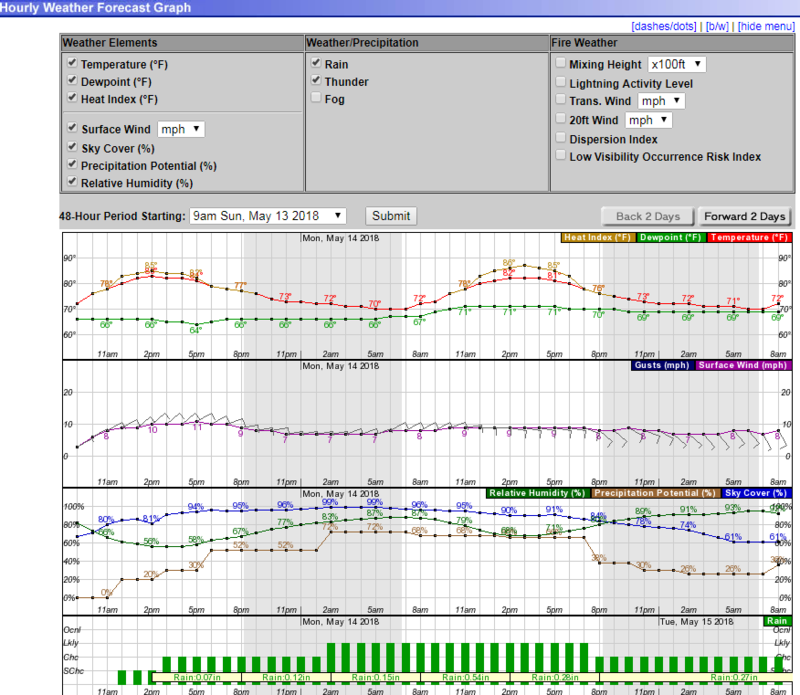 Do y'all ever look at your NWS hourly forecast to get a better idea of when rain "might" be beginning in your area? I like to do so when I'm going to be driving somewhere because I HATE driving in the rain! sangria wrote: Good morning everyone and Happy Mother's Day to all of the moms out there! Not really. I usually just decipher from the forecast discussion and/or forecast itself. Here's yours which I'm sure you've checked! we;; just walked my dogs and overhead pretty heavy overcast clouds and just felt one drop so far,sure hope my area is in that 4-6inch rainfall..could sure use it here. Happy Mother’s Day to all the Mom’s out there. I miss my Mom more than anything. Ed and I are going to have a nice quiet steak dinner grilled out back with copious amounts of beverage. Whelp, the driveway is done and we are awaiting the rain in the forecast. Looks like it will be here later than sooner for our location so we’ve a nice day ahead. Got some high clouds today masking the sun low 80’s w breeze. Perfect FL day! Good afternoon everyone! Happy Mothers Day to moms . The rain has just started, light so far . local tv met is saying rain should be up by me around 4-5pm but, rain chances go up to 70% overnight into tomorrow morning..we'll see...we have days of this coming. 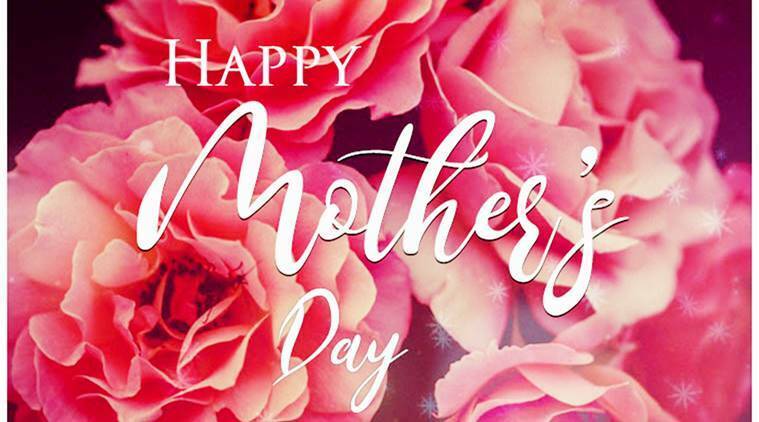 I hope all the Mom's out there are enjoying their special day!! Thanks Largo. Happy mother's day to Mrs Largo. BillsfaninSoFla wrote: Thanks Largo. Happy mother's day to Mrs Largo. well humid here. no rain yet,but temps are a lil lower due to the cloud cover..would like a good downpour overnight here whew. two inches of rain have already fallen. between Immokalee and Fort Myers. Additional rainfall of 1 to 2 inches is expected over the area. Stopped raining for now. Cloudy still. Haven’t seen the sun since Friday. Fine with me! Thanks for updates and warnings Largo. Billsfan..gatekeeper over in doc's blog posted this..stay a lil more alert towards end of May ok..
activity could produce higher amounts in a shorter period of time. I just came back from my office, and it is absolutely black skies to the west of us. It must be pouring as I saw someone post on Mikes' s weather page that there's some flooding in Coral Springs about 8 miles to the North and 8-10 miles to the west of me. Nothing here. I'm beginning to have my doubts about us getting much rain. Looks like you west coasters are more likely Good luck. It's got a yellow X. Didn't some models a few weeks ago have "something" hitting that area? Yep Bills, the GFS kept coming out with a ghost storm. I haven't looked at it in a couple of days but I thought it dropped it. Actually as I think about it, that storm the GFS had was coming out of the Carib, not a low in the gulf. will be lightning and the potential for heavy rainfall. on roadways is possible in low lying and poor drainage areas. Waters today. Winds up to 20 knots are expected. flooding concerns into the week. beaches through portion of the week. Good Monday Morning Folks!! well everything is soaking wet outside finally!! right now here its only light rain,no wind to speak of..NWS is saying 90% rain chances today..wonderful!! !....well have a good day folks and drive carefully ok. I got .24 in the bucket between yesterday and last night. This week shall be interesting. We will either get a lot of rain or not much. We shall see. I hope everyone gets some rain. good morning John!! glad you got some rain over there..I got either .017 or .030 depending on which station near me,but everything outside is soaking wet so im happy, i sure needed this rain..well have a great day john...drive safely ok.
of Montura, moving north at 20 mph. possible tornadic storm down in southeast florida right now..heed local warnings folks..stay alert and safe. bad storm on the east coast just north of west palm beach now,,moving slowly northward..stay alert down there. * Until 730 AM EDT. OK OK..im perking the Coffee-Tea-Cocoa lol..looks like an active weather morning for Florida. Largo I saw on the news a transformer blew up by you (Ulmerton and Starkey). Are you getting lightning, or just Monday? About half an inch here past 24 hours. Morning all. We had a nice weekend weather wise and some fun times were had. Spent Saturday fishing with a buddy who is moving back to Maine in a week. Yesterday for Mother's Day we headed out on the boat after church and dragged the kids on the tube and then up pulled up to the beach for a little island time with some extended family who also brought their boat out. So far not much rain here. It started early this AM, but it has been light and has added up to .25". Not going to complain though as it knocked the dust down and it looks like we should be getting a bit more the next several days. StPeteFLwx wrote: Largo I saw on the news a transformer blew up by you (Ulmerton and Starkey). Are you getting lightning, or just Monday? oh boy, its really coming down heavy here now. to near Lake Harbor, moving north at 20 knots. Ridge, Lake Harbor and Moore Haven. waterdipper wrote: Morning all. We had a nice weekend weather wise and some fun times were had. Spent Saturday fishing with a buddy who is moving back to Maine in a week. Yesterday for Mother's Day we headed out on the boat after church and dragged the kids on the tube and then up pulled up to the beach for a little island time with some extended family who also brought their boat out.